Covered in detail by the official Netflix blog this week, the streaming video company launched a new page on the company site that lists Internet service providers along with the average speed of each service for the previous month. Netflix started tracking this data during November 2012 for several areas around the world including the United States, the United Kingdom, Ireland, Denmark, Finland, Sweden, Norway and Mexico. However, people living within the United States cannot organize the data by state or specific region. Not surprisingly, the fastest provider in the United States is currently Google Fiber. While only available in Kansas City at the moment, Google Fiber offers an average speed of 3.35 Mbps. That’s a full 1 Mbps above the closest competitor, Cablevision – Optimum with an average 2.35 Mbps rate. 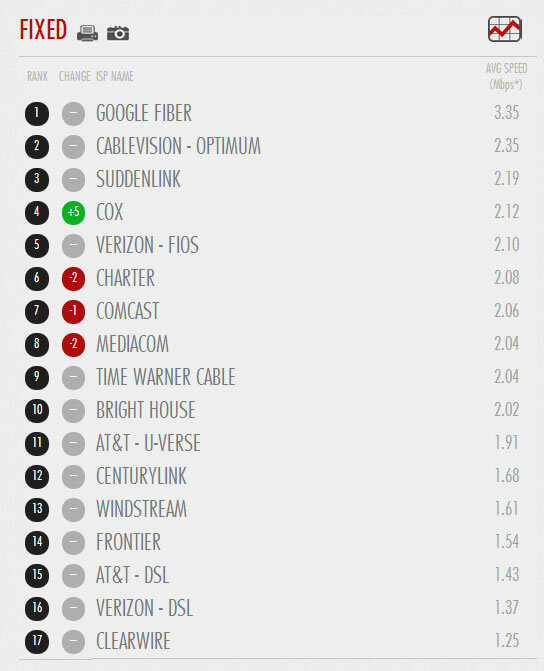 Other companies rounding out the top five in the United States include Suddenlink, Cox and Verizon FIOS. Averaging less than 1.75 Mbps during the month of February, the bottom five in the United States include Windstream, Frontier, AT&T DSL, Verizon DSL and Clearwire. Interestingly, three countries in Europe were superior to the United States in regards to average overall speed. Providers located within Denmark, Finland and Sweden all offered a minimum of 2 Mbps for streaming video and Denmark had the highest overall average of all countries with a rate of 2.57 Mbps. People living within Mexico have the worst average rate of speed at 1.65 Mbps. However, if Google Fiber didn’t exist within the U.S., the average speed among all the other U.S. providers would be just 1.86 Mbps. Netflix is able to collect this data each month by tracking the entire subscriber base. 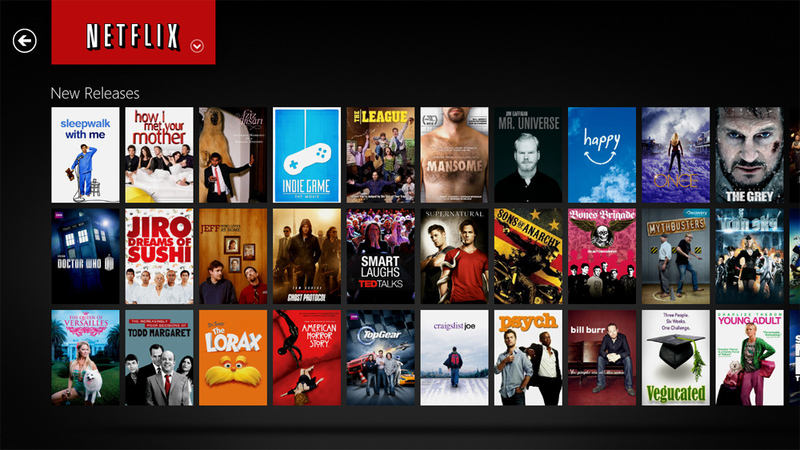 After analyzing approximately 33 million Netflix Instant accounts around the world, the company has a good idea which providers are offering the highest quality connections. Higher speeds means subscribers will be able to stream high definition video more quickly and potentially have access to Netflix’s 1080p “Super HD” streams as well as 3D content. However, access to the higher video quality is limited to providers that have signed up for Netflix’s Open Connect program. Providers in the U.S. that have already signed up for Open Connect include Cablevision, Google Fiber, Suddenlink and Clearwire. Enrolling in the Open Connect program means that Netflix places data caching servers at ISP locations and fills them up with the most frequently viewed content. This allows Netflix to avoid paying third-party transit fees and improves data delivery speeds for subscribers. Since streaming 1080p and 3D content requires faster speeds due to the increased data, Netflix believes limiting access to that content is in the company’s best interest in order to provide a stable viewing experience for subscribers.